The City Of London is becoming a haven of new age eateries and some of London's best bars. 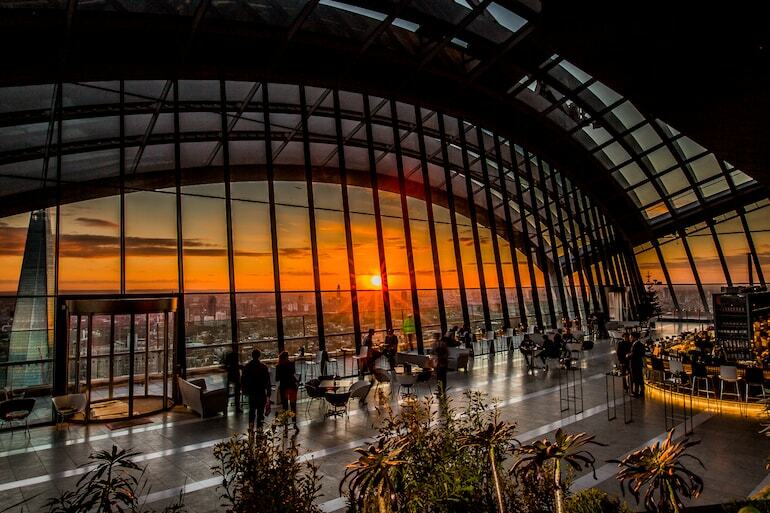 The Sky Garden is just one of these, and with unrivalled views across London, it stands as one of the best places to grab a drink north of the river. London's skyline has changed dramatically over the past fifteen years and half of the buildings that soar above the others wouldn't have even been there at the beginning of the century. 20 Fenchurch Street, AKA the 'Walkie Talkie', is one of these buildings and at the very top sits one of London's finest spaces. 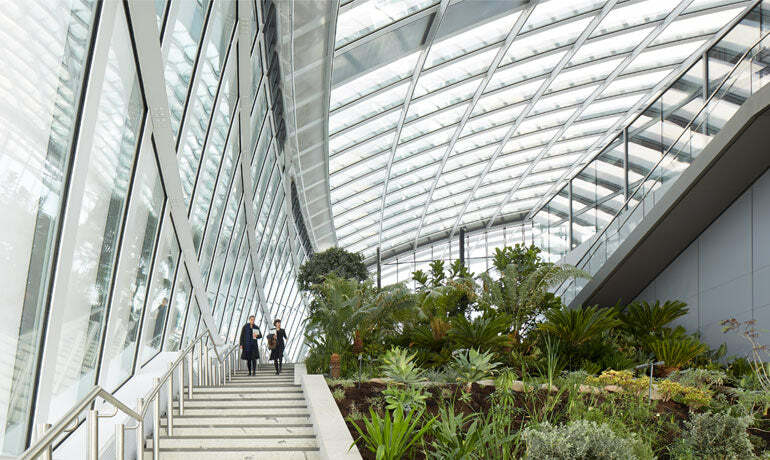 The Sky Garden is quite literally an edenic space spread across floors 35, 36 and 37, and at over 155 metres up, each floor offers unspoilt views across London and beyond. The venue consists of Sky Pod, City Garden Rooftop Bar, Darwin Brasserie and Fenchurch Restaurant. Each space is unique and whatever you're after, you will find it. The menus across the four dining and drinking spaces are overseen by 20 Fenchurch Street’s Head Chef Daniel Fletcher and Darwin Brasserie’s Head Chef Arnaud Delannay. Together they quite literally have London at their feet. 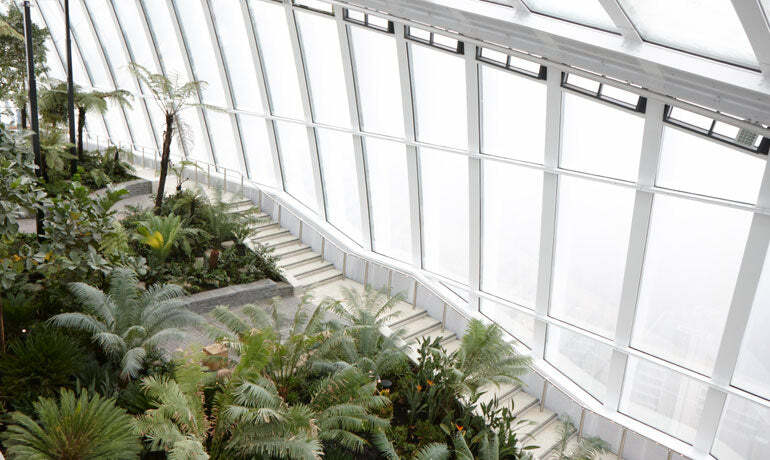 The gardens, which along with the impeccable view have undoubtedly got The Sky Garden its reputation, have been curated by the renowned landscape architect the Gillespies. While the gardens are great to look at, the spaces are actually used for a whole host of activities. Whether you're into morning yoga (5am starts in order to take in the sunrise across the capital) or late-night cinema screenings with a view of glittering London below, you can be sure that there is something on offer for you. The Sky Pod is the most relaxed part of The Sky Garden, but that is what makes this a real treat. There's not really any heightened formality that you need to abide to (hats are allowed) although they would prefer a stylish guest over a scruffy one! As soon as you step out of the lift, you're met with an astonishing view looking out towards the Shard and beyond. 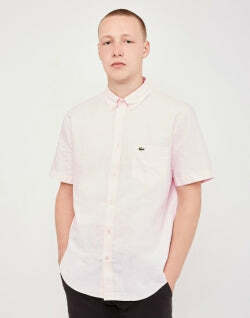 This is an environment that is best enjoyed in summer, with the large area basking in the sun on dusky summer evenings. That said, when autumn and winter arrive, the space takes on a new vibe and guests can enjoy hot cocktails and faux-fur blankets. The Sky Pod consists of a cafe and bar, where you can grab breakfast in the day, before it turns into a more chic environment where you can get exquisite seafood platters and charcuterie sharing boards. Enjoy these with an array of cocktails - we recommend the Pendennis Club is you like gin! On Wednesdays, 6.30-9pm and Thursday, Friday and Saturday until 1am, the Sky Pod area turns into a place for dancing and seeing the night away. If you fancy it, you can even reserve a booth (remember this is one of London's more popular venues) and you can guarantee that you'll be entertained by some of the best DJs and live acts. Situated one floor up from the Sky Pod Bar sits the newest addition the 20 Fenchurch, the City Garden Bar. Sitting on the 36th floor, this is the place to come for the best views in the house and is enclaved by the gardens themselves. The space is open all day and evening, where you can enjoy fresh breakfasts and juices in the morning, before moving onto a selection of cocktails. This is where you should come if you want a proper sit down meal. Enjoy the views as you dine in the restaurant in peace, away from the live bands and music, but still with an excellent ambience. The restaurant prides itself on being a place that can cater to any need whatever the occasion, with the soft wood and leather interior providing the perfect place for both business and pleasure. Whether you fancy a relaxing breakfast consisting of coconut quinoa porridge or go for the heavier but delicious pain perdu, you won't be disappointed. When it comes to lunch and dinner, the head chefs have made sure that there is something for everyone. The menu is somewhat old school, but with a slight twist. Starters include red onion tart tatin with Ogleshield cheese and walnuts, or more delicate dishes such as seared mackerel and beetroot slaw. Mains focus on classic British dishes such as roast pork belly, fish and chips and sea trout with a mussel broth. Salads are also up for grabs, again each having a slight twist on what you'd normally expect - courgette and pickled mushroom anyone? There is even a burger that comes straight from the Goodwood Estate, complete with confit short rib. 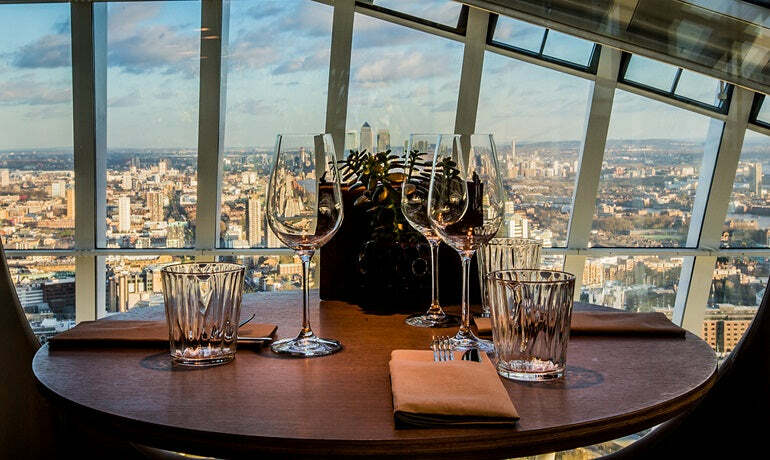 Fenchurch Restaurant sits right at the top of 20 Fenchurch Street, secreted away on level 37. Whereas everywhere else in the building is heavily focused on the views that the skyscraper has to offer, Fenchurch Restaurant offers only west-facing views so all the focus is entirely on the food. The restaurant is pretty striking, with leather interiors giving a stylish dining experience - you can even hire out a secluded 16 person room for private dining. With regards to food, the à la carte menu has been incredibly well-thought-out. Goodwood Estate beef tartare and hand-dived Orkney scallop sit alongside delicacies such as Anjou pigeon, lemon sole and St Austell Bay mussels. Desserts will ensure that you end your meal on a high with the likes of almond cake and hot and cold Guanaja chocolate served with ice cream. For the more special occasion, there are dedicated five-course or eight-course tasting menus available. 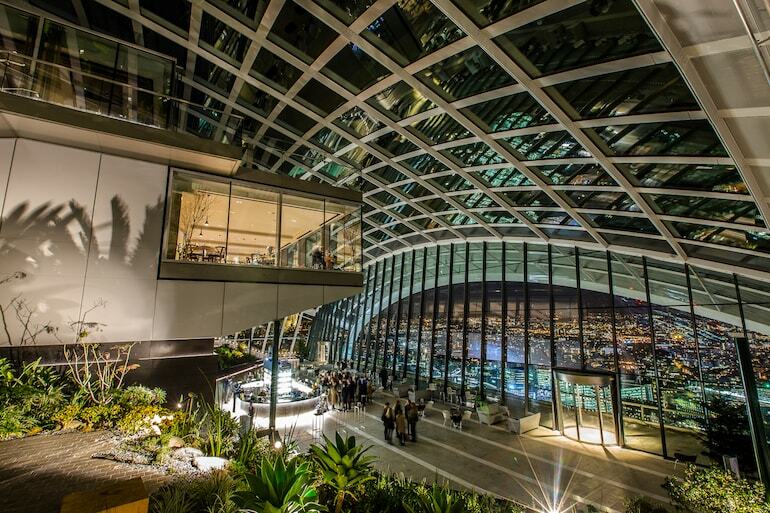 The Sky Garden as a whole is one of London's finer places to be seen and see. We recommend taking this into account and dressing for the occasion. 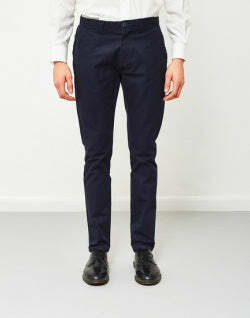 While none of the venues will require a tie or jacket, we do think that wearing a pair of smart trousers with a shirt and some loafers is the best route to go down.